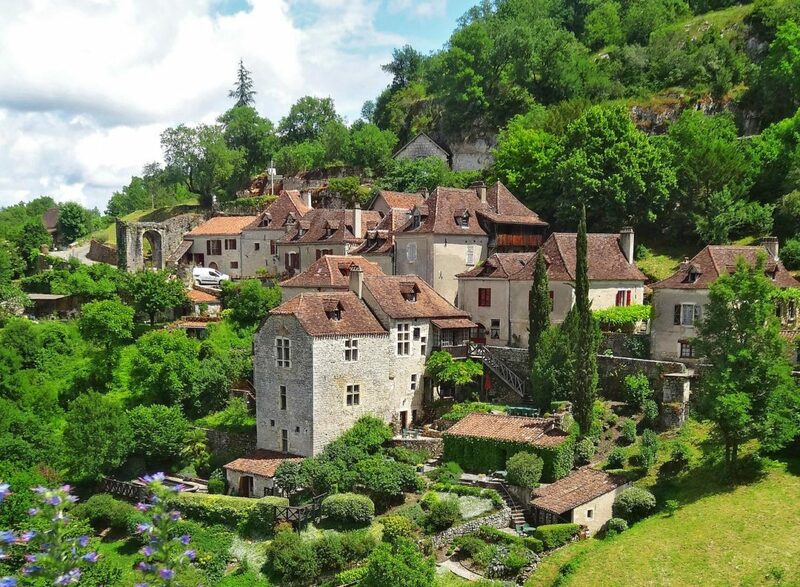 Ranked among the most beautiful villages in France and voted favorite French village Saint Cirq is a delightful hilltop village with red roof houses grouped around a fortified church on the banks of the Lot. We get lost happily among the steep streets of St. Cirq. Over the course of the visit, we discover pan façades decorated pink hollyhocks wood, medieval and Renaissance buildings or arches.